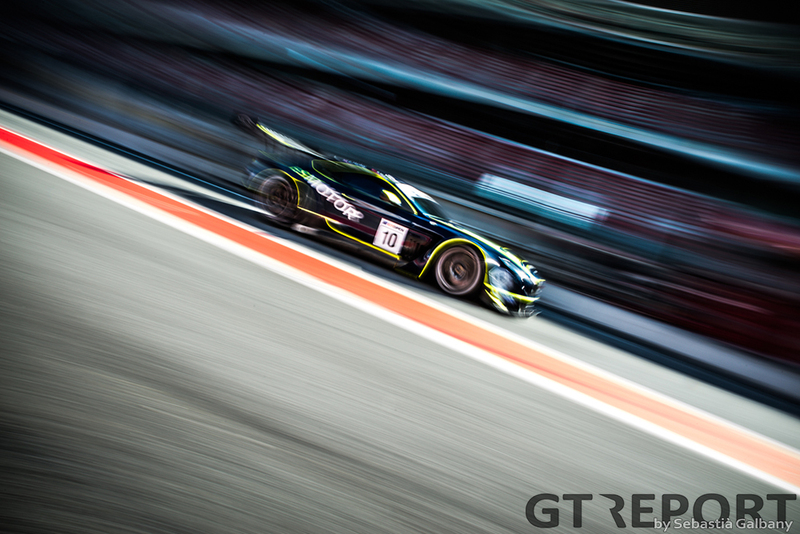 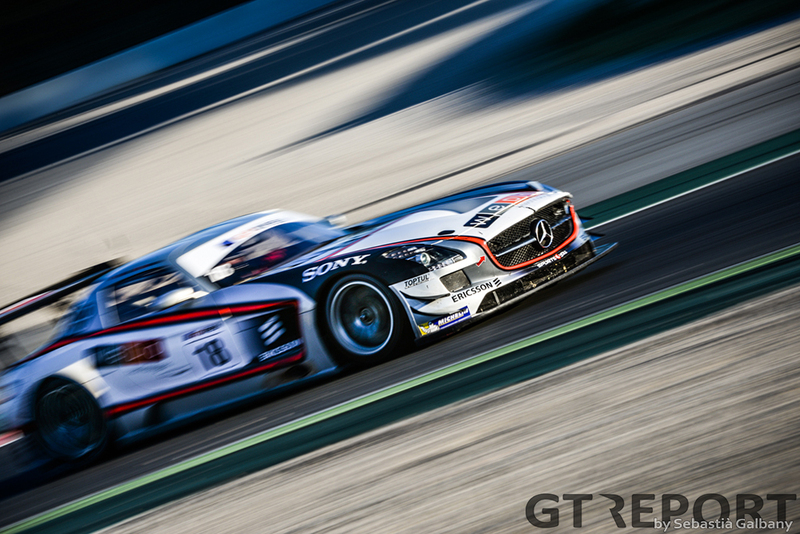 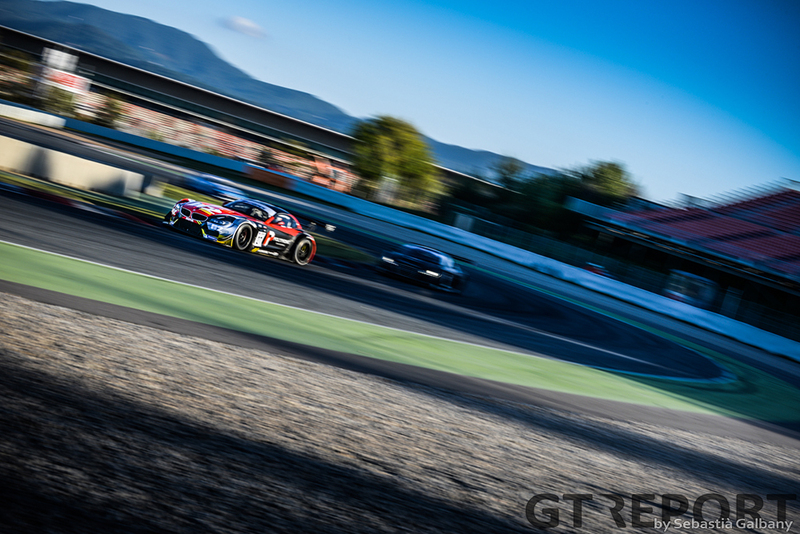 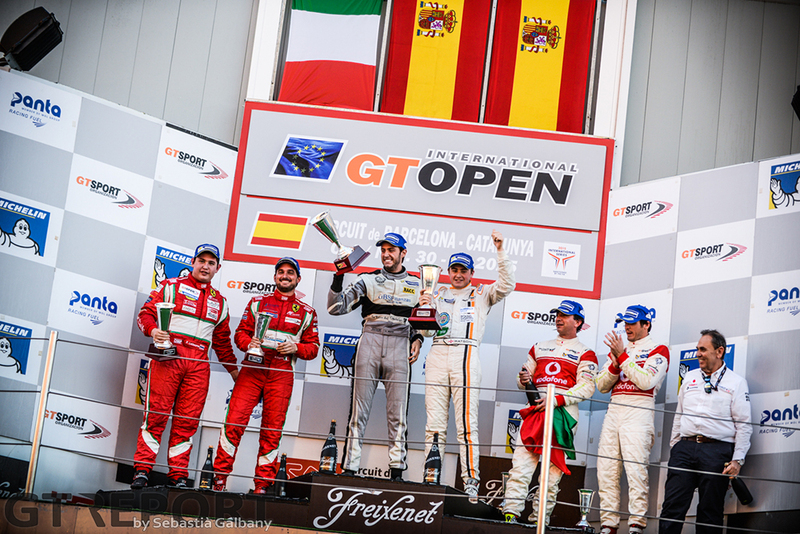 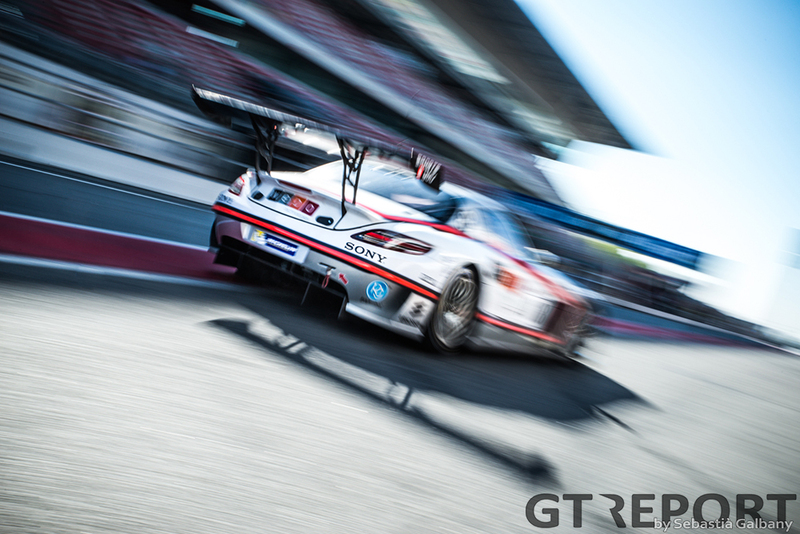 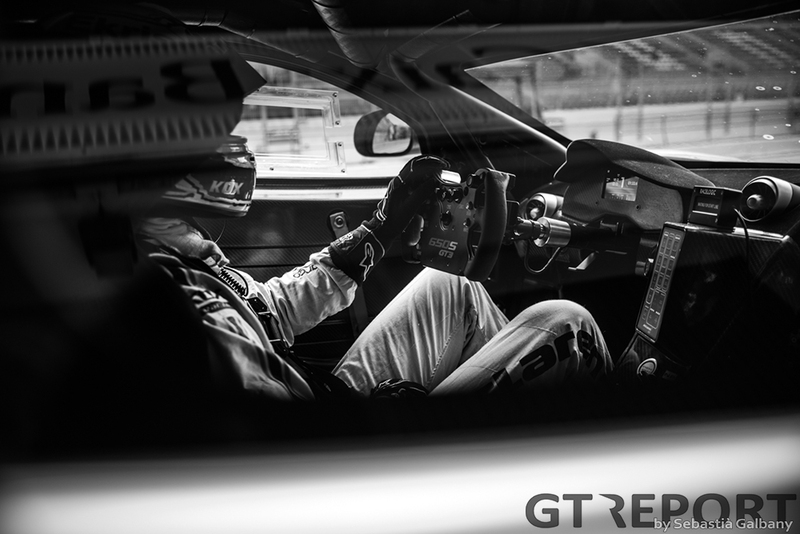 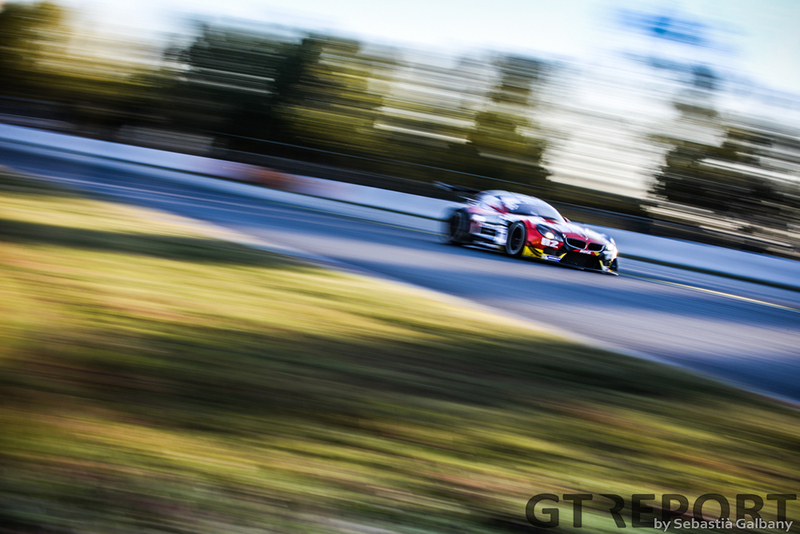 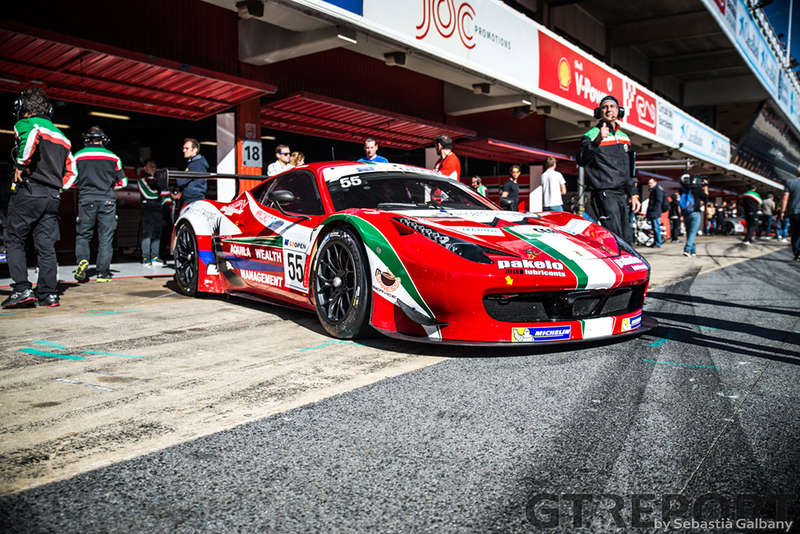 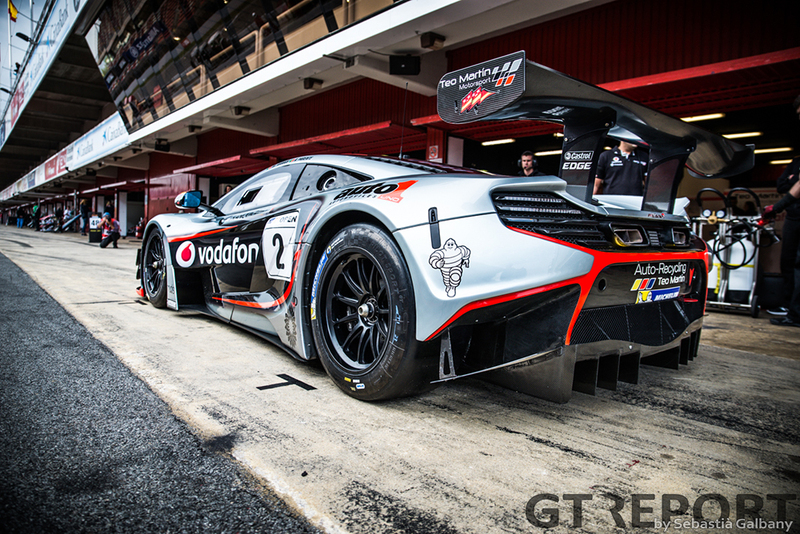 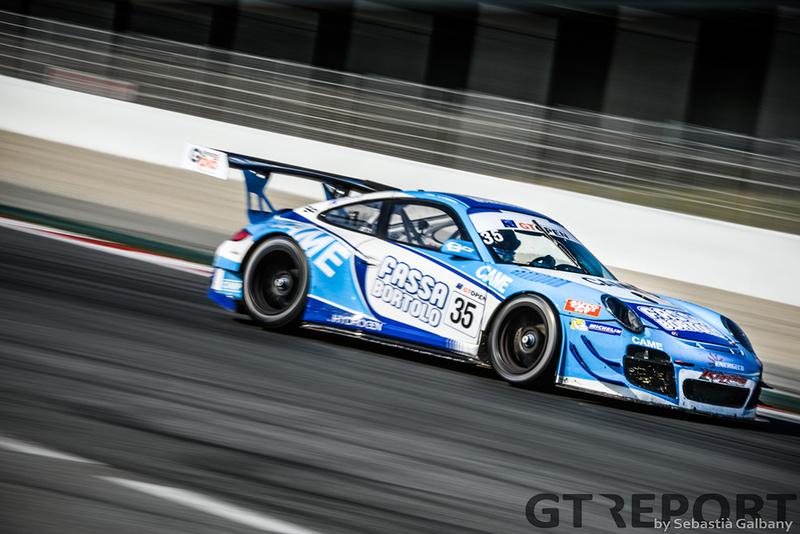 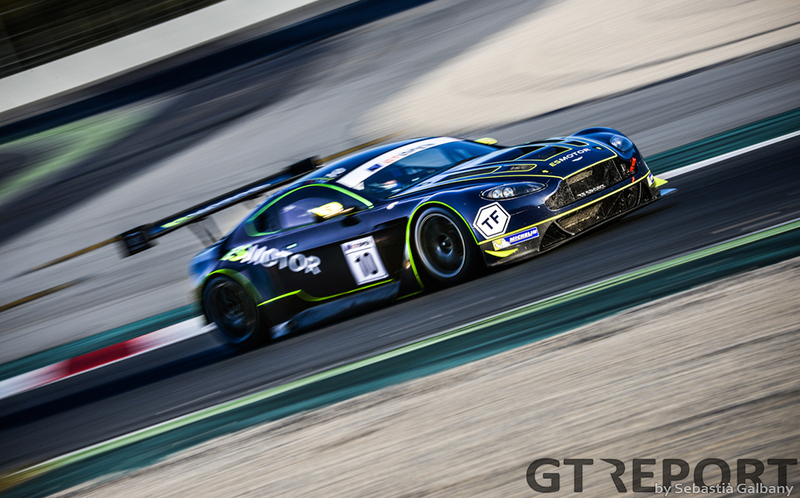 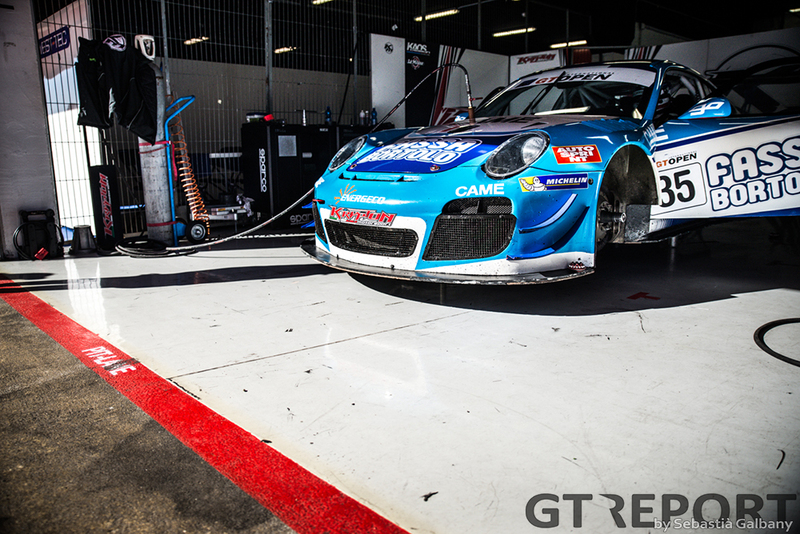 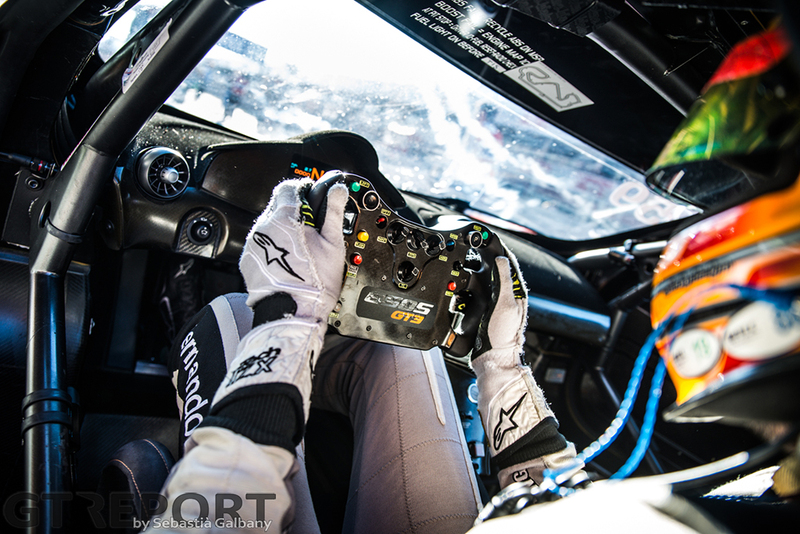 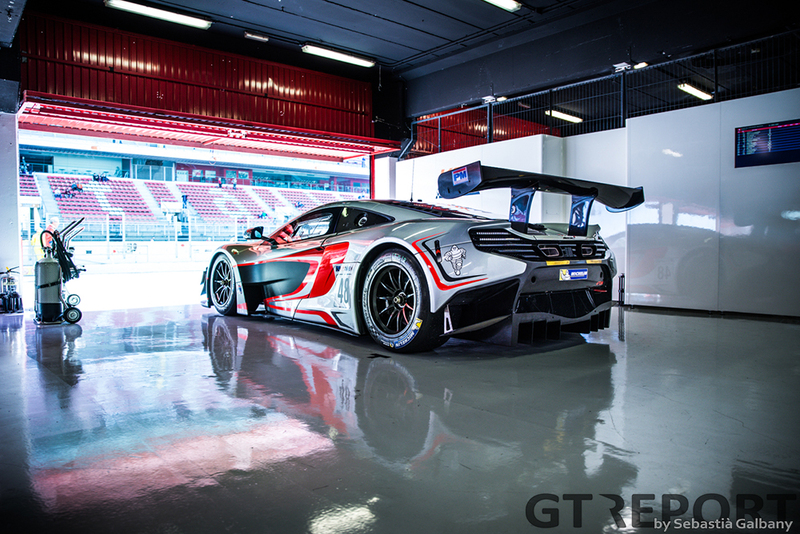 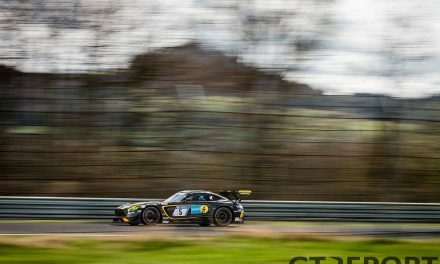 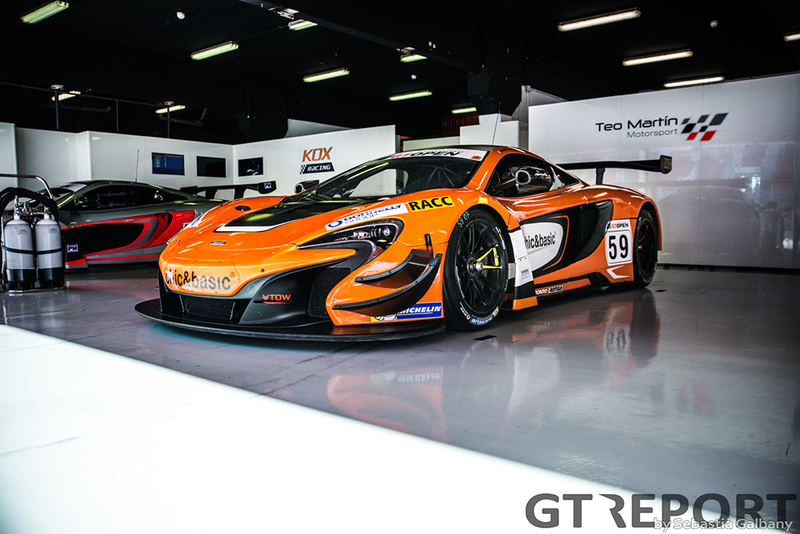 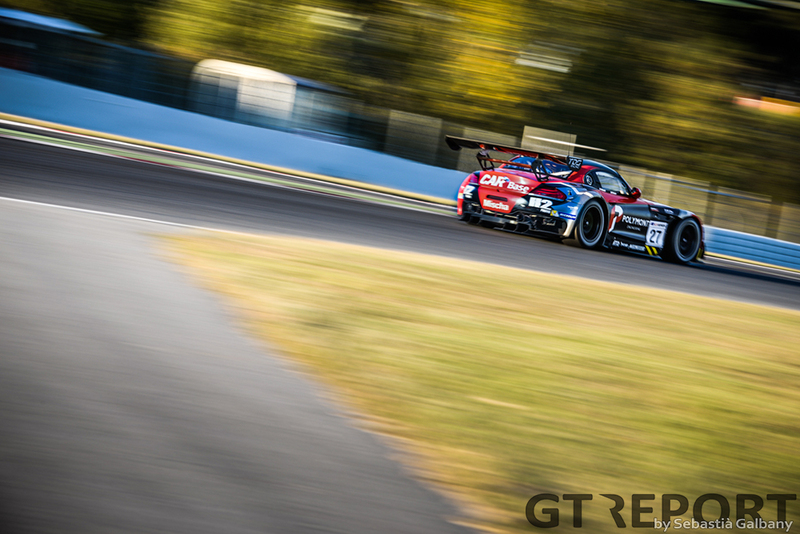 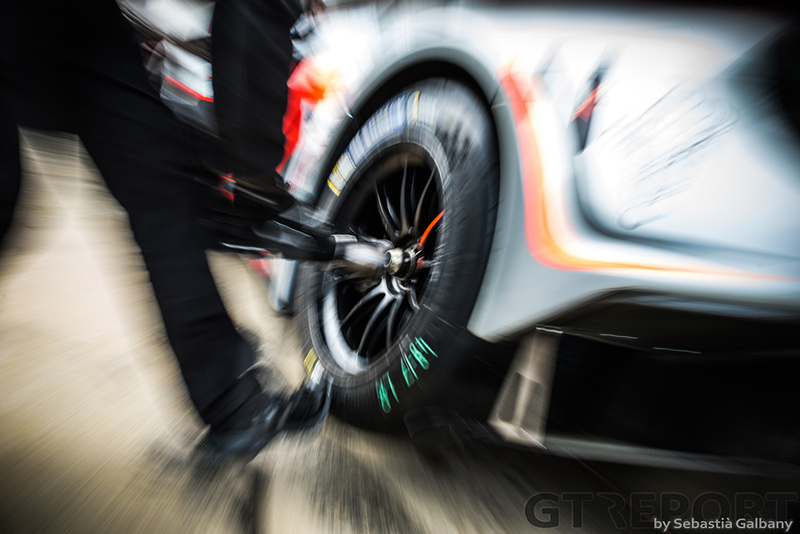 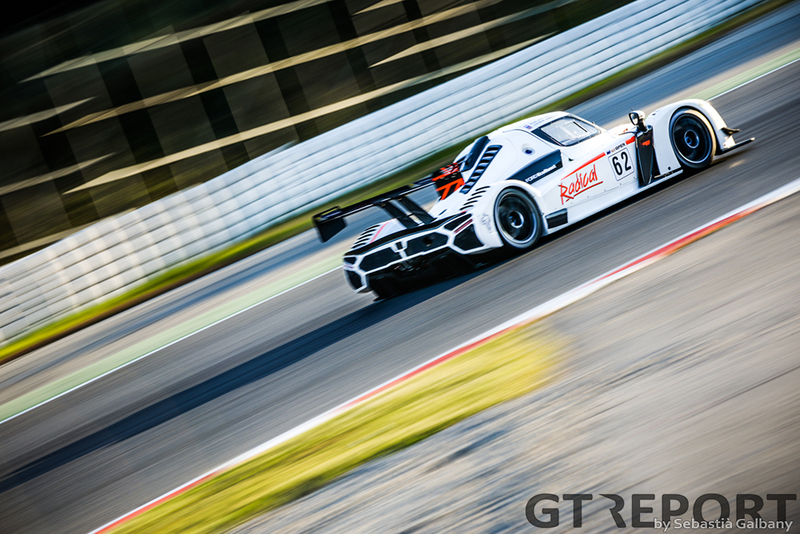 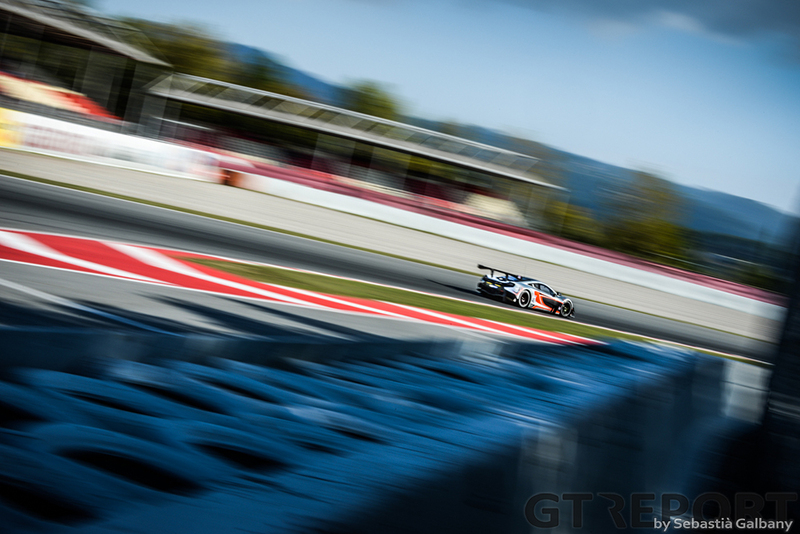 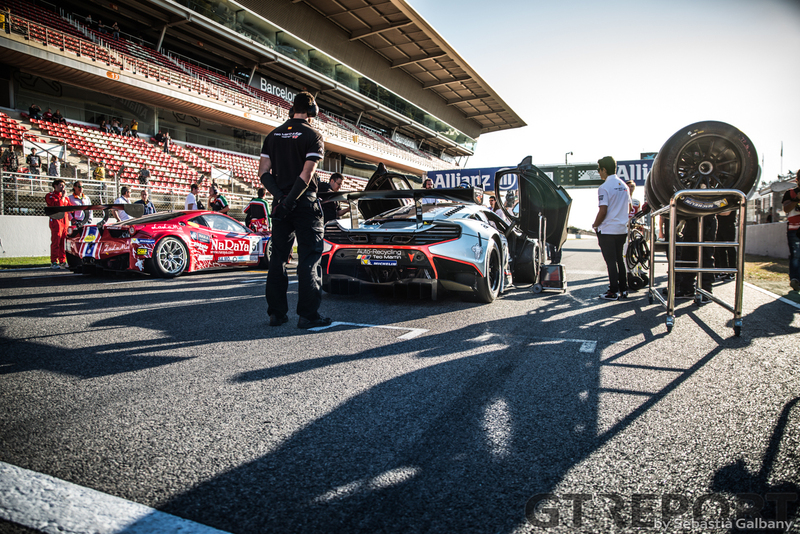 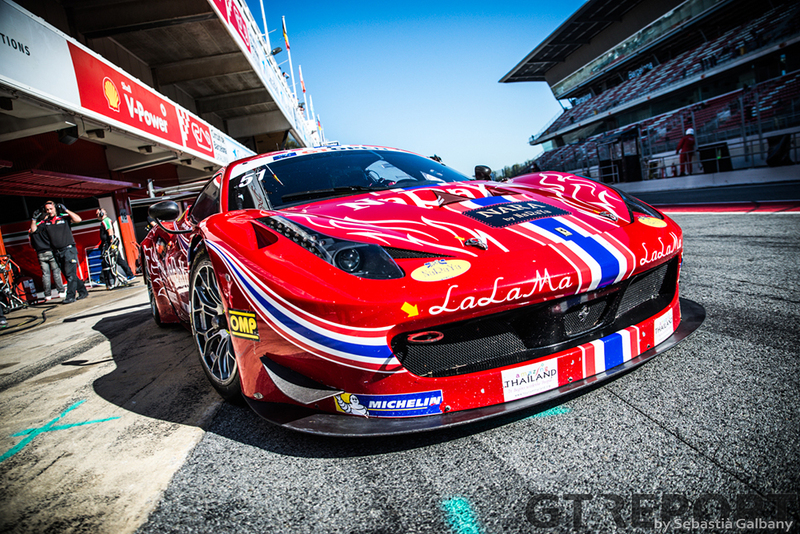 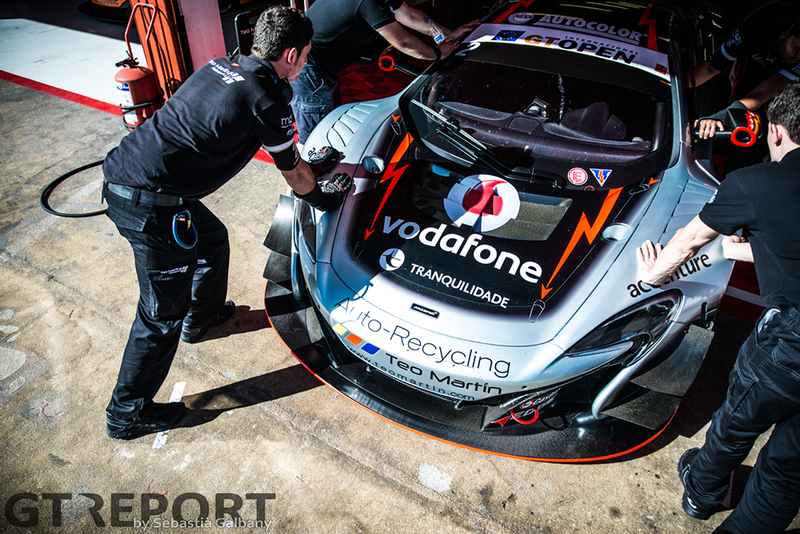 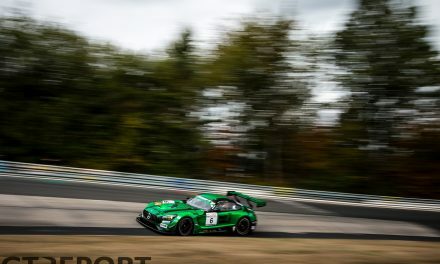 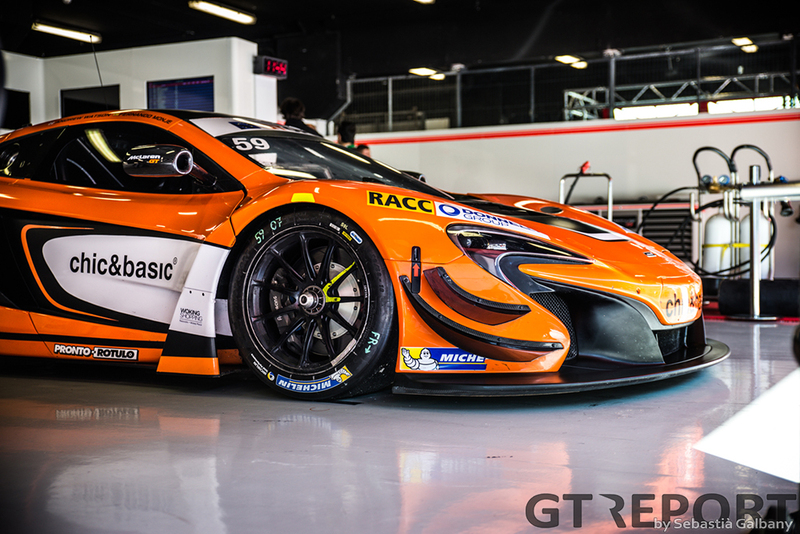 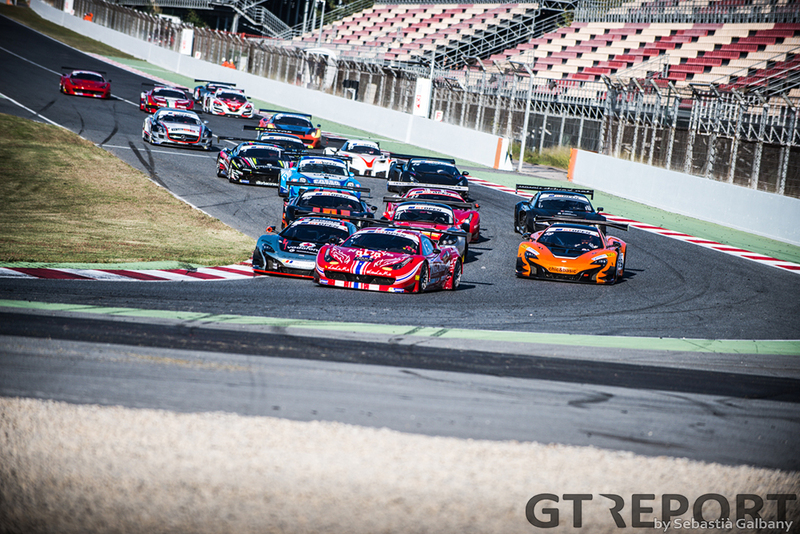 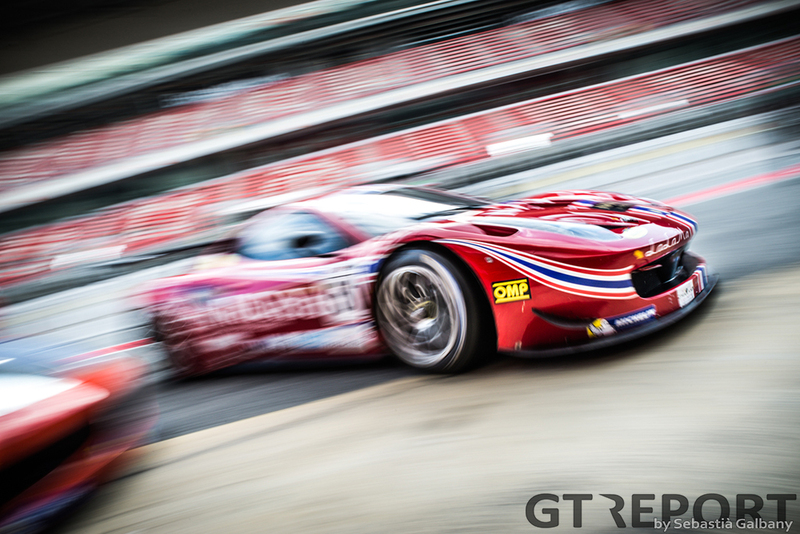 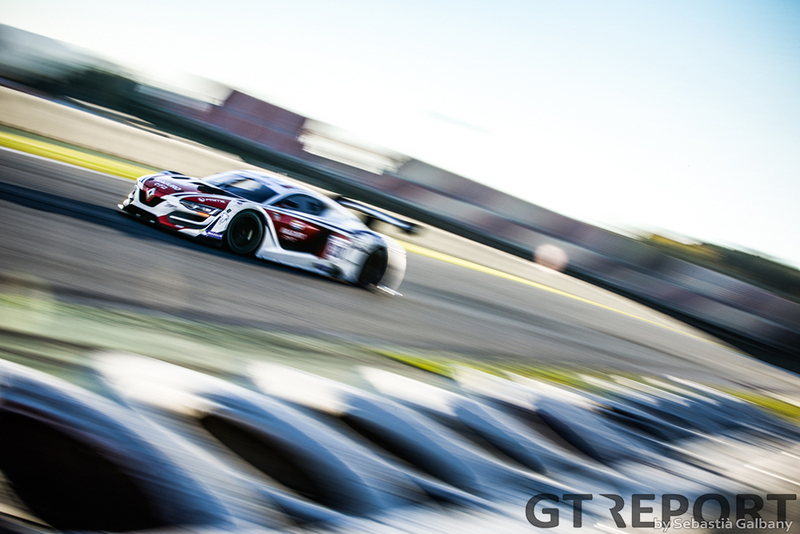 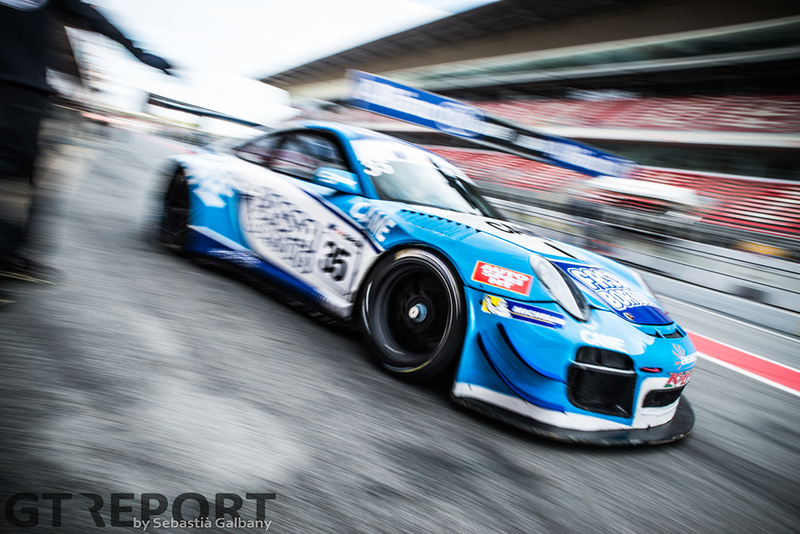 With the racing season coming to an end, so did the year for the International GT Open championship. 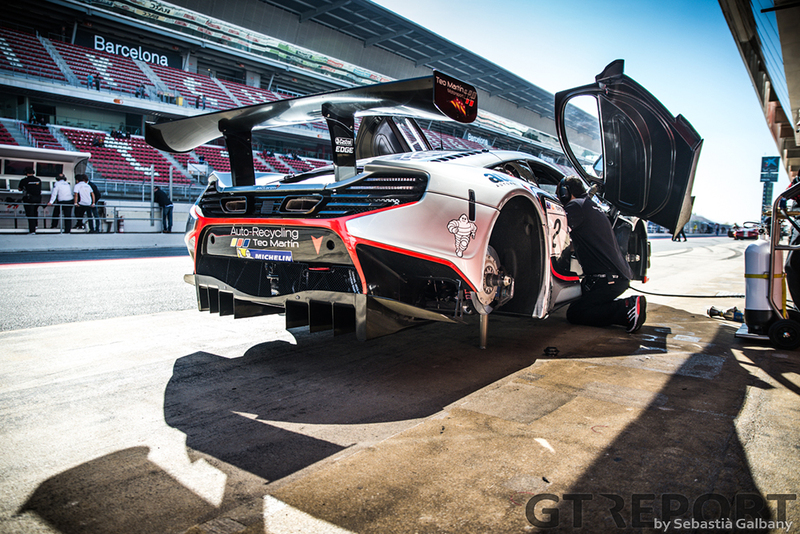 The Iberian series went back home for its final race of the season, at Circuit de Barcelona-Catalunya in the small Catalan town of Montmeló. 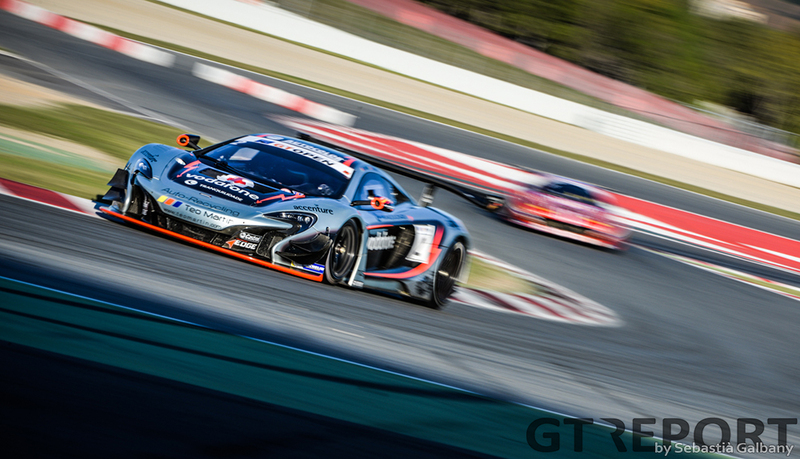 Going into the weekend it’s fairly certain that McLaren’s Teo Martin Motorsport drviers Álvaro Parente and Miguel Ramos will take the title. 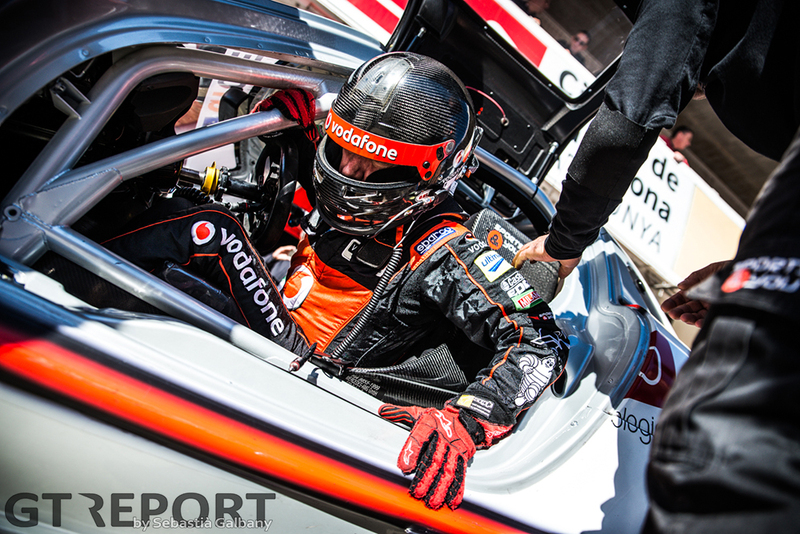 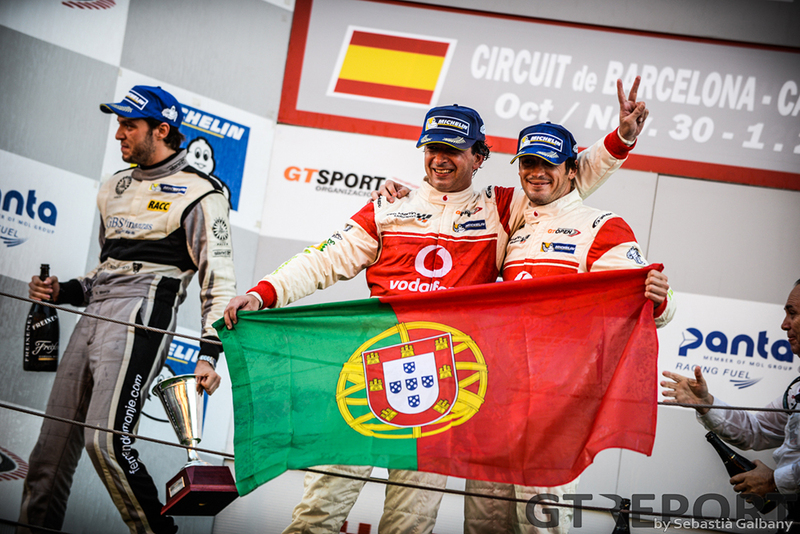 Leading the championship by 192 over AF Corse’s 157 points, it is the Portuguese drivers to lose. 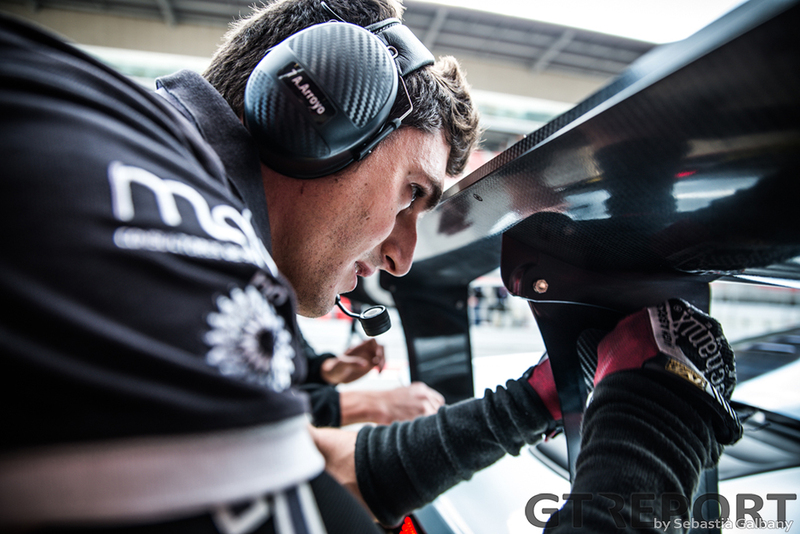 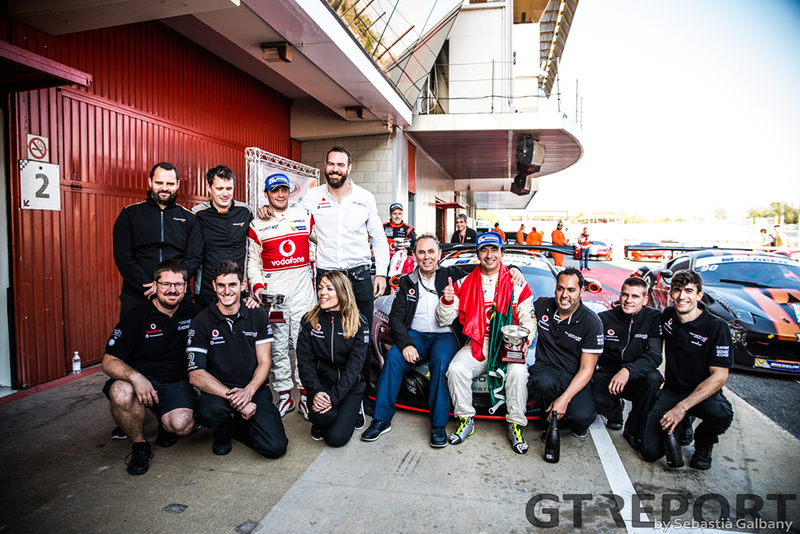 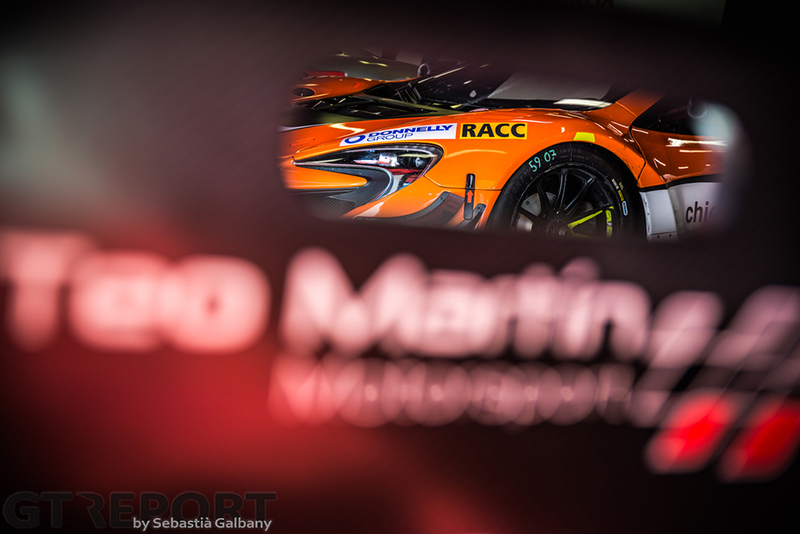 Still in the hunt for the title when the weekend starts, AF Corse drivers Pasin Lathouras and Michele Rugolo can only watch how Fernando Monje and Andrew Watson in the Teo Martin McLaren drive away from them in the second part of Saturday’s race. 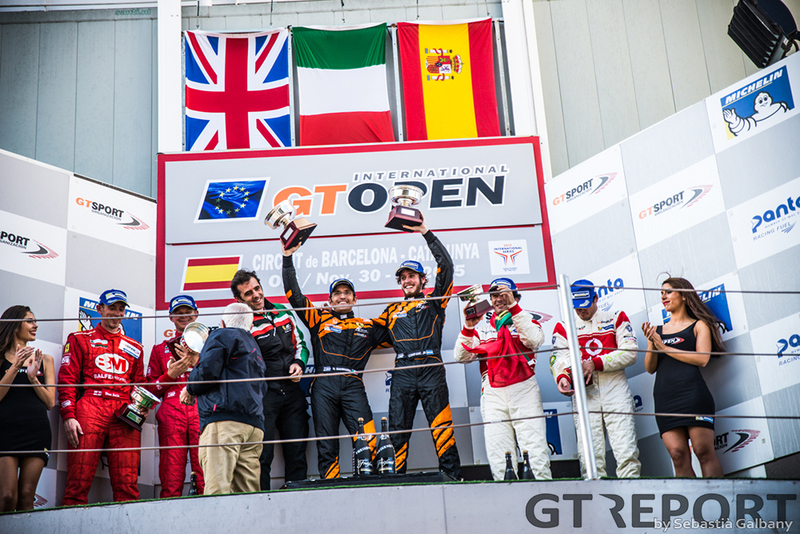 Being trailed by champions-in-waiting Ramos and Parente doesn’t help their cause of winning the championship either. 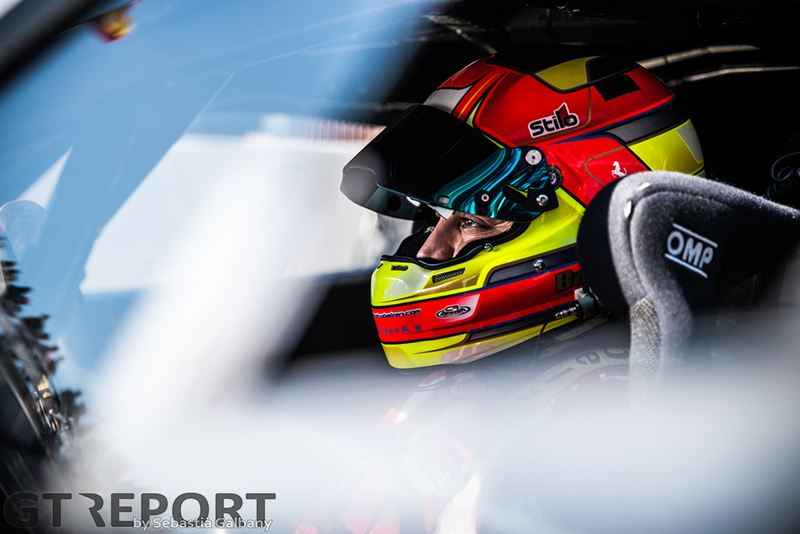 The race starts out hopeful when Rugolo gives Parente a real run for his money in the opening half. 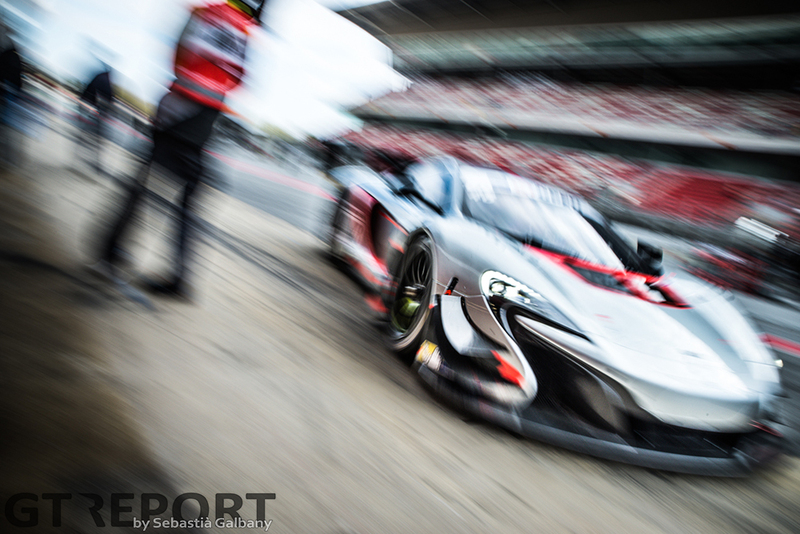 But with the second McLaren taking the lead after the mandatory driver changes and with Ramos having taken over from Parente and fallen back to behind the Ferrari but still well within the top four, the only thing that can still stop Parente and Ramos is bad luck. 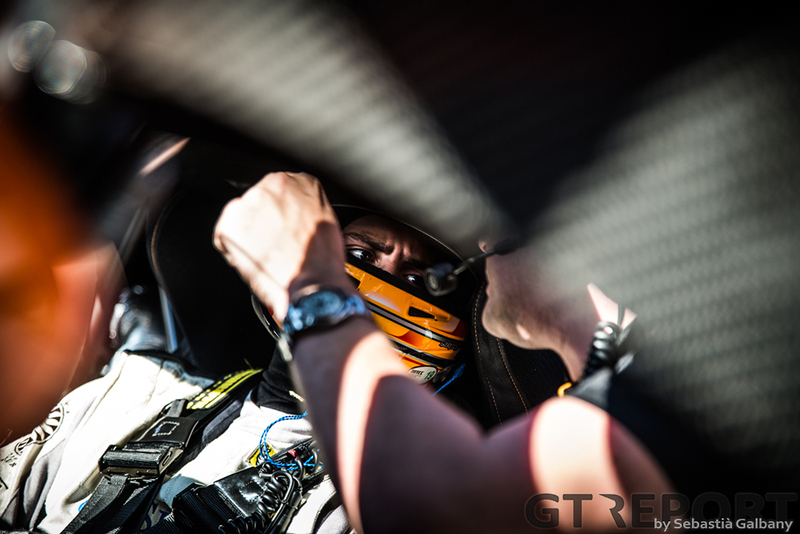 Bad luck, however, is not something Teo Martin Motorsport has had to endured much of this season. 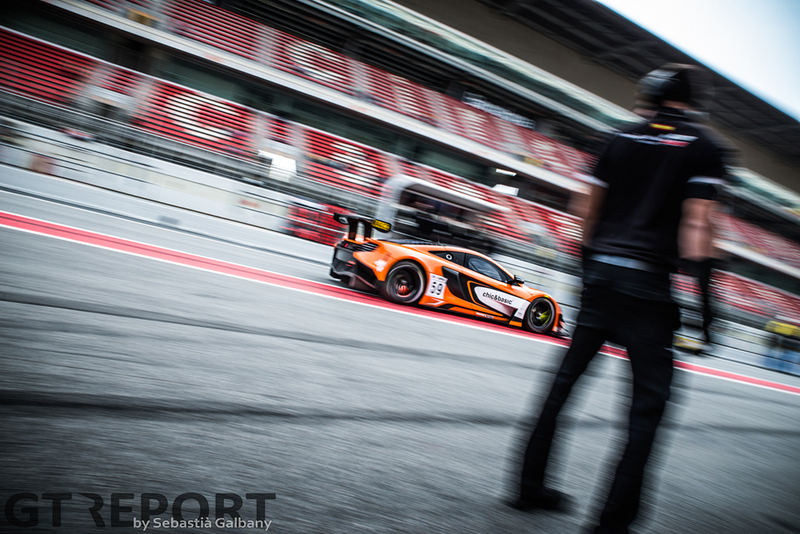 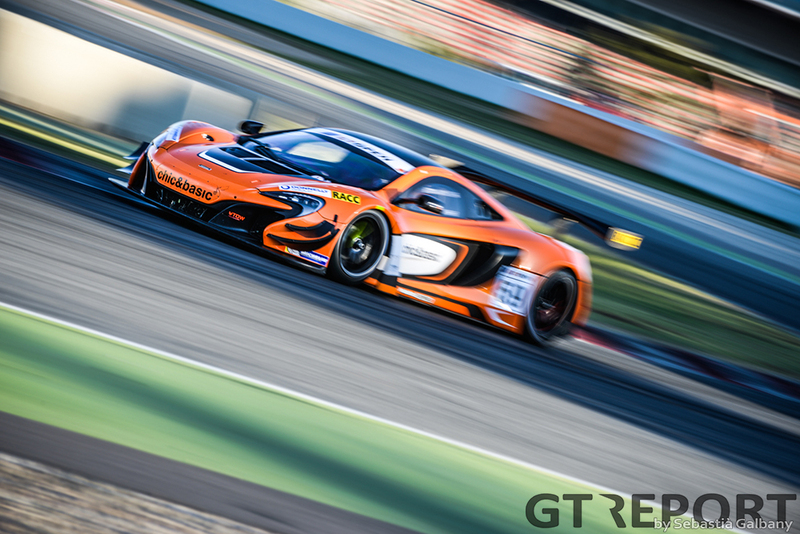 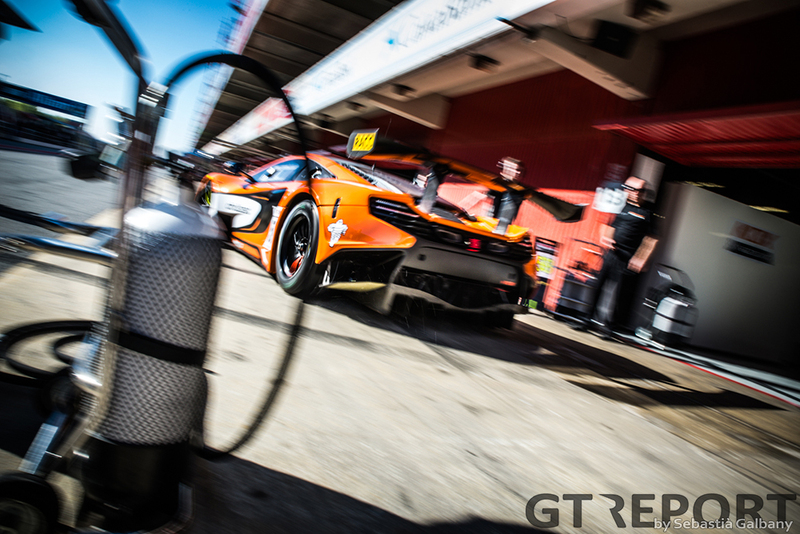 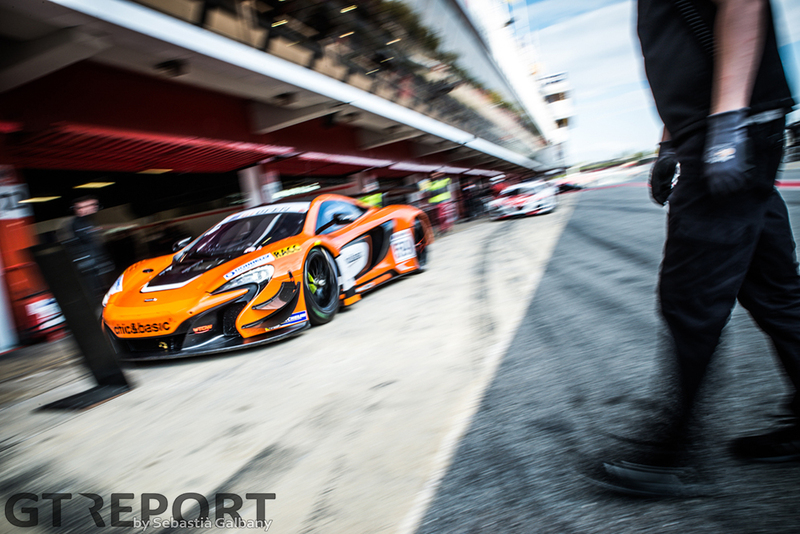 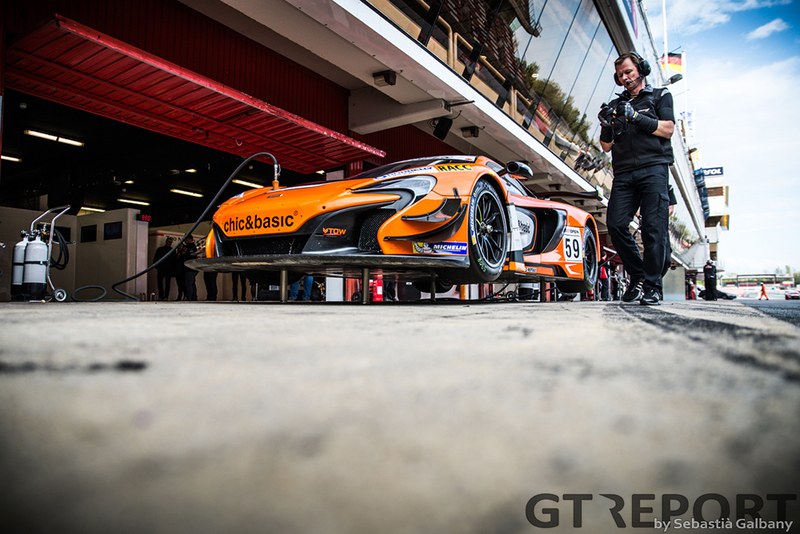 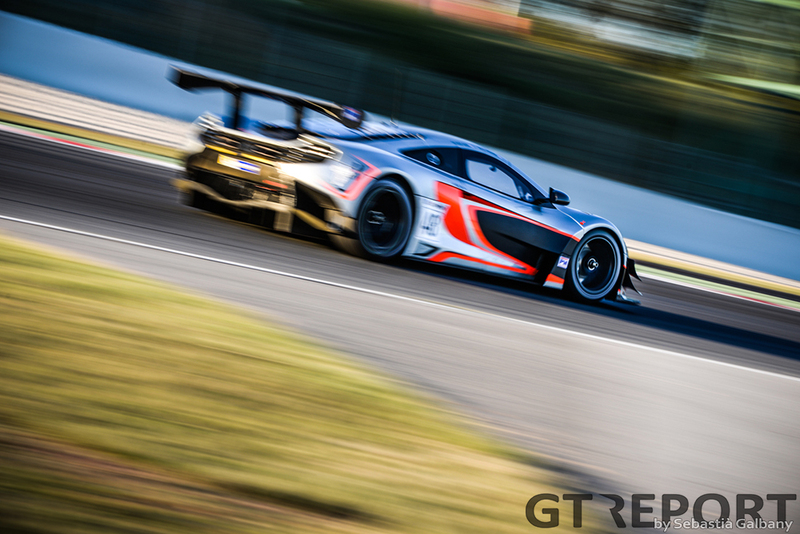 Rugolo sees team mate Lathouras cross the finish line in second, followed by the black-grey McLaren 650S GT3. 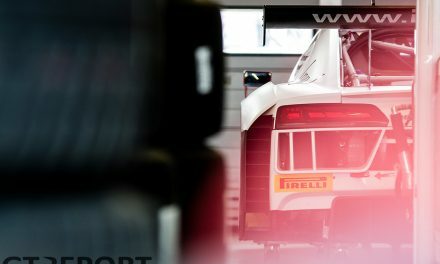 They now have to, definitively, relinquish any hopes for the title they still had. 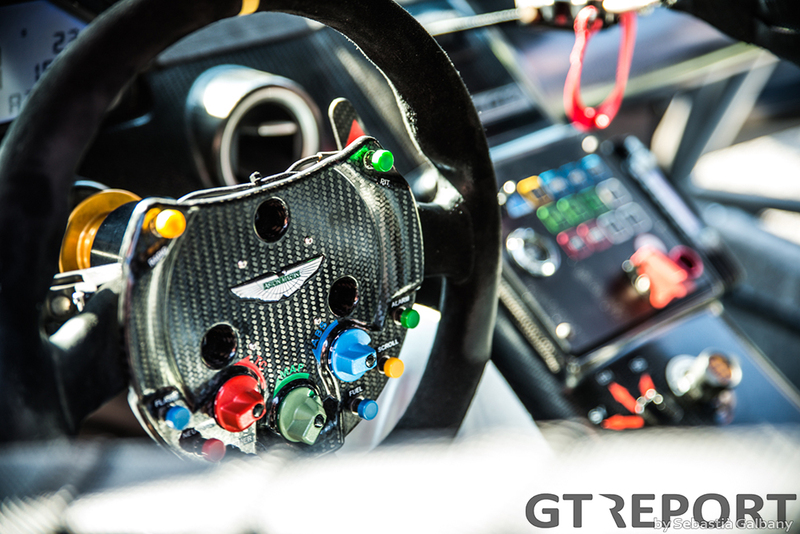 Sunday sees a mix up on the grid with the TF Sport Aston Martin Vantage on pole position. 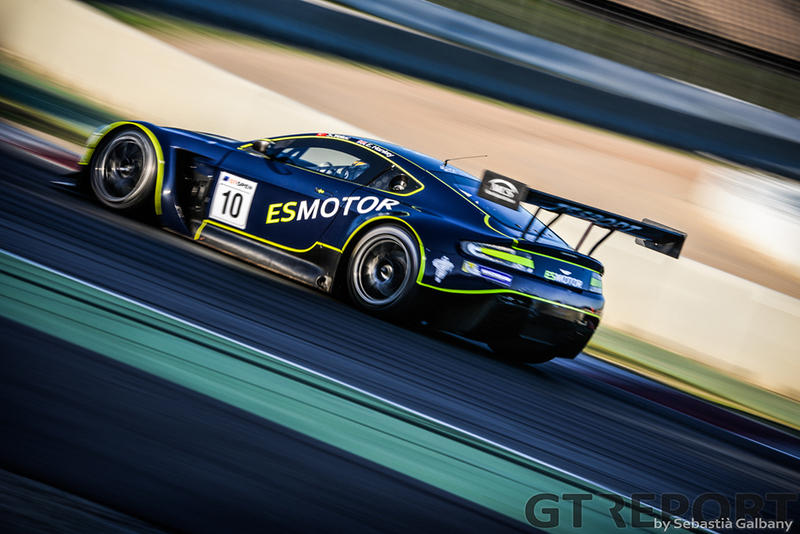 Euan Hankey’s lead from the pole is short lived, however, when the Brit is punted off only corners into the race by Andrew Watson. 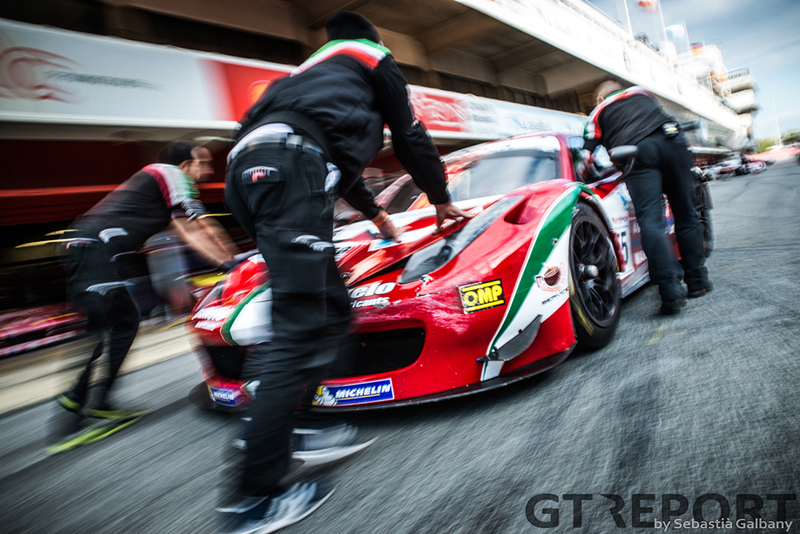 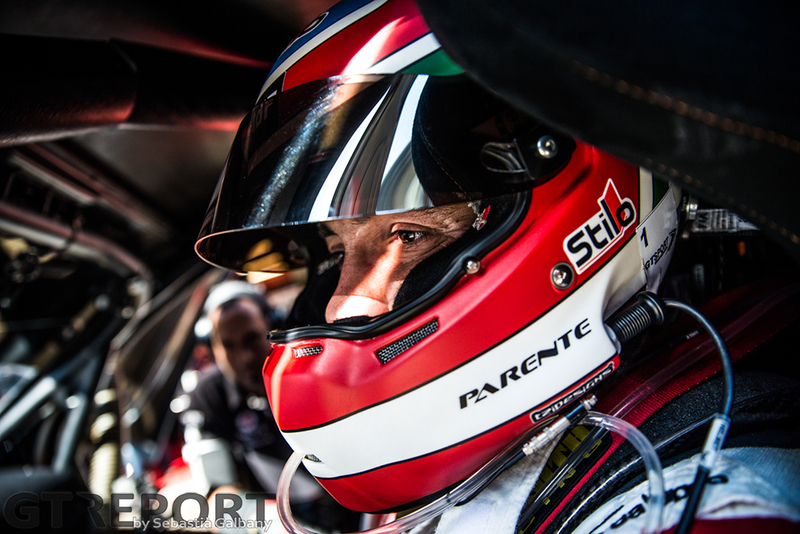 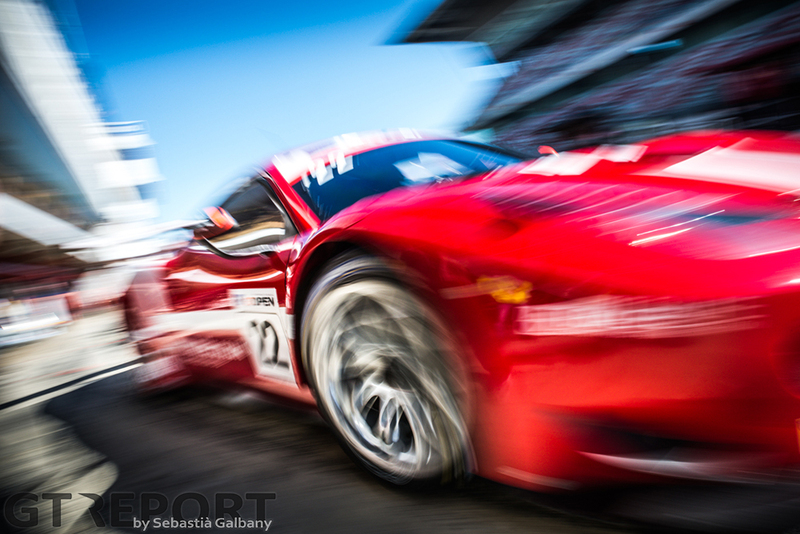 Alessandro Balzan in the Villorba Corse Ferrari seizes the opportunity to claim the lead. 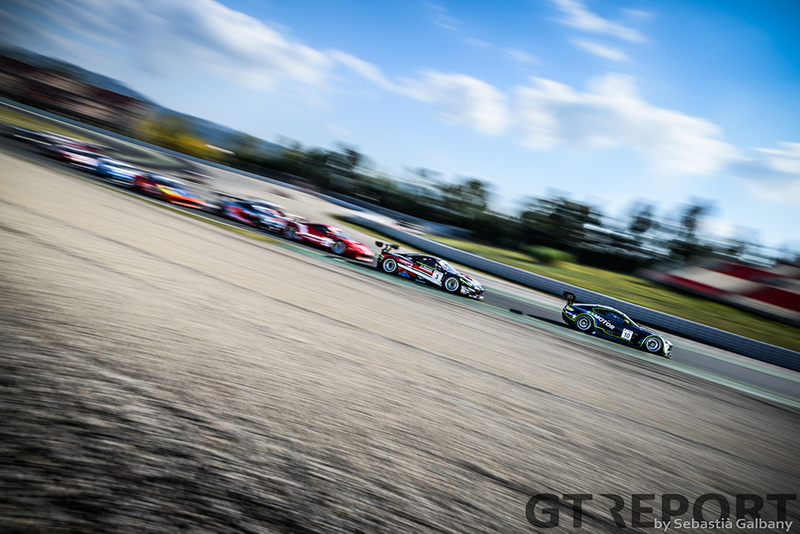 Coming into the final stage of the race, it’s Nicola Benucci now leading, having taken over the Villorba Corse Ferrari from team mate Balzan. 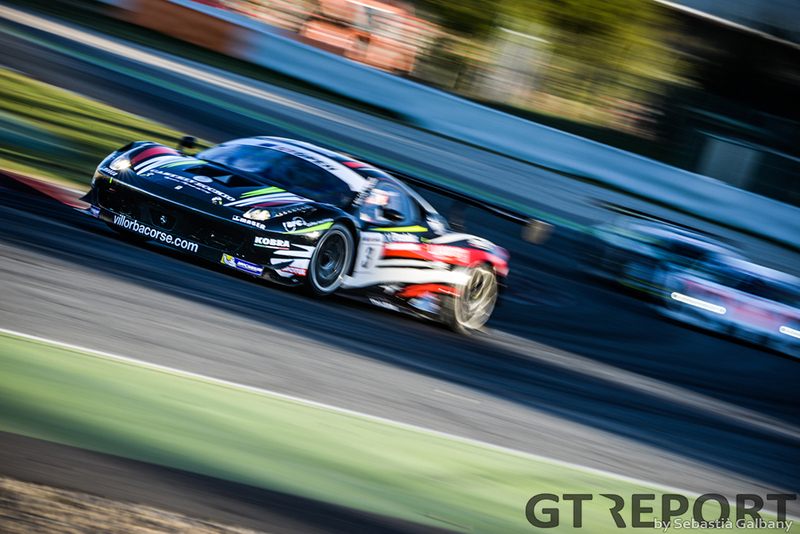 Behind the Italian is the Balfe Motorsport Ferrari with owner-driver Shaun Balfe behind the wheel, with Ezequiel Pérez Companc closing in quickly on the leading group. 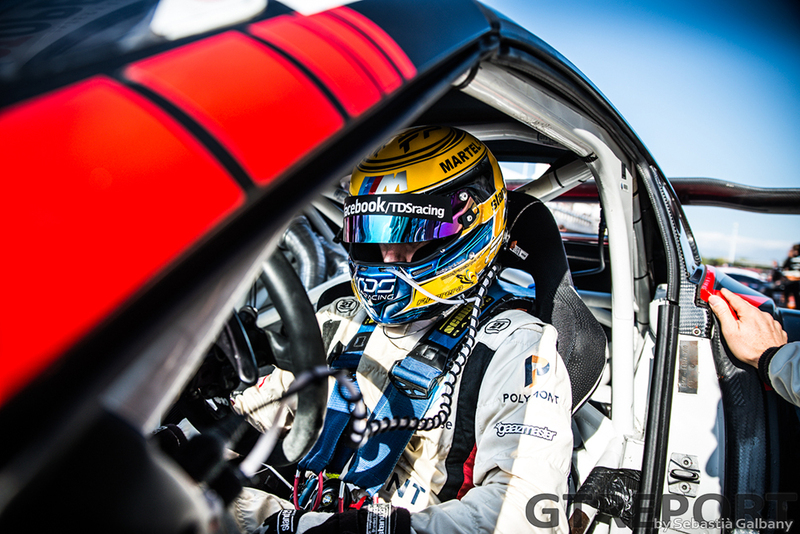 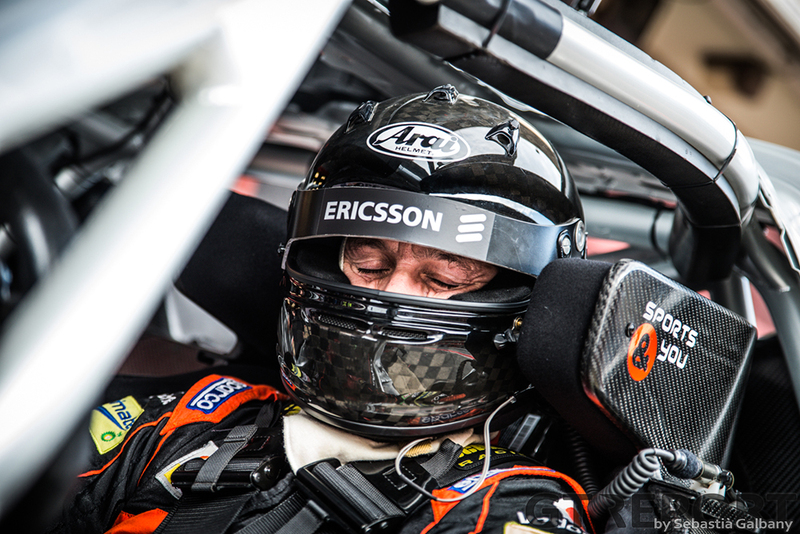 Argentina’s Companc is on a mission to win. 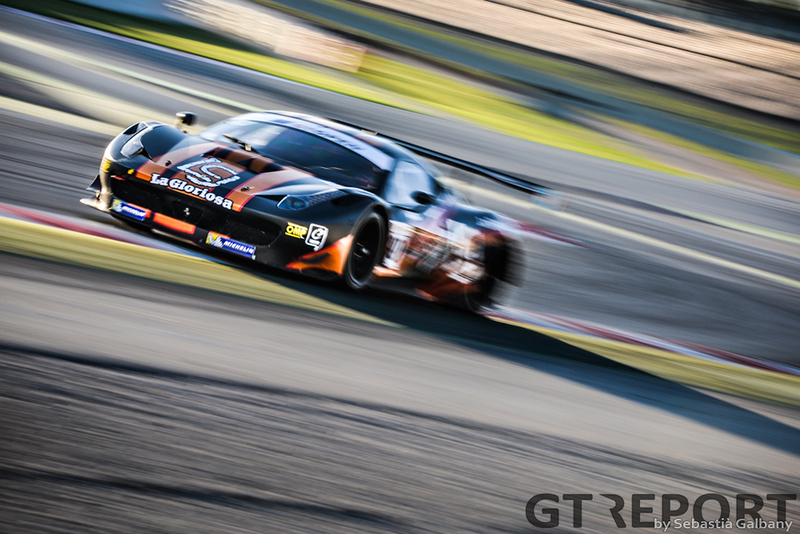 After closing the gap to the leaders, he first goes past Balfe and then Benucci. 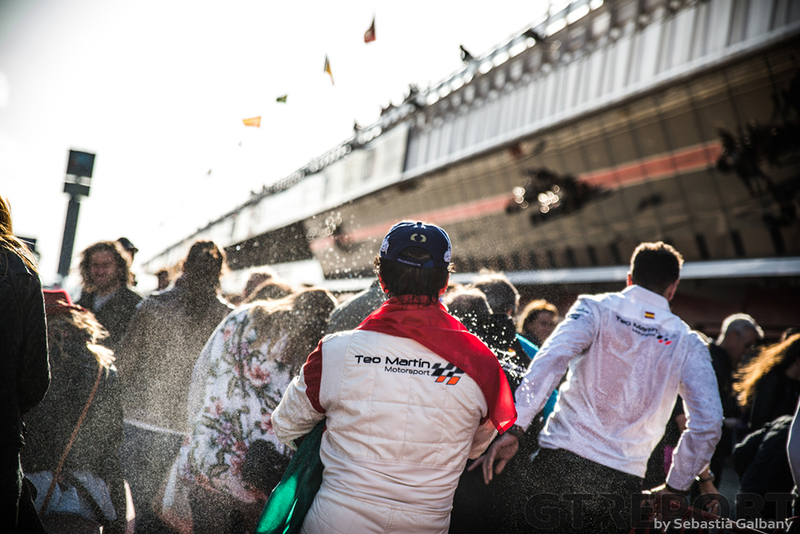 Unthreatened, Companc leads the final five laps to win the final trophy of 2015. 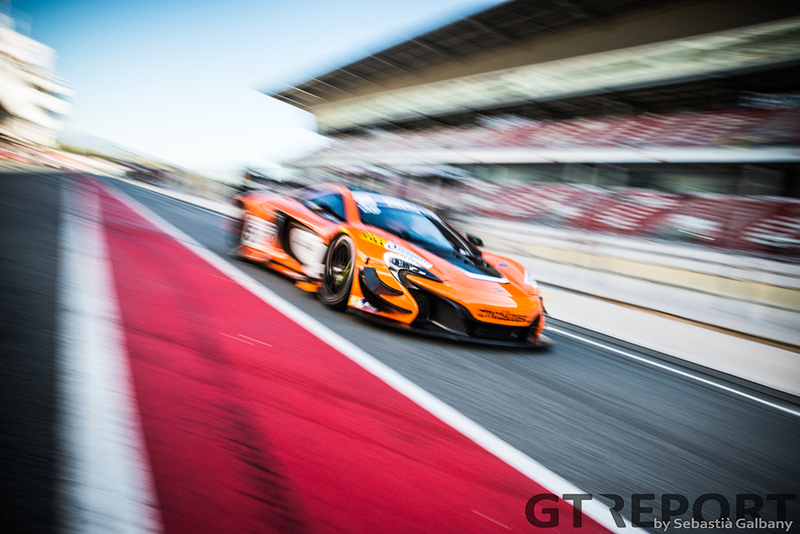 Montmeló turns out to be McLaren’s dominion: not only is the title secured at the fast Catalan race track, so is McLaren Young Driver Programme pupil Andrew Watson’s first win, while Peter Kox Racing shows the single lap speed of the British car by setting the fastest race lap time of the weekend.